I have a hard time picking favorites. It just so happens that I can’t ever recall the same one that I answered when I set the password up in the first place. Do people really maintain favorites and never switch them out? My favorite book today is the last decent one I read. It’ll be replaced by the next good one I read. Am I fickle or just easily entertained? I saw a show the other day where people related their favorite holiday memory. I couldn’t think of one of those for myself either. 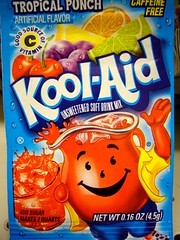 I like the holidays but I couldn’t think of one standout experience that would set one apart from all the rest. Perhaps I just have a bad memory? I think I just have a lack of trust in myself and my choices in even trivial things. I certainly don’t think every odd or negative thing in my life is a result of my involvement in Mormonism but in this case I see a relation. 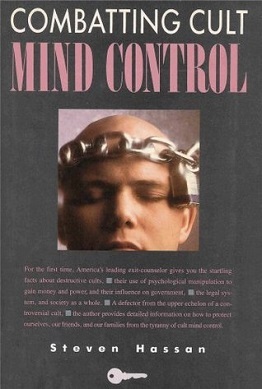 When I read Steven Hassan’s Combatting Cult Mind Control several years ago I was fascinated. I was able to cross-reference so much of it with my experience out of Mormonism. 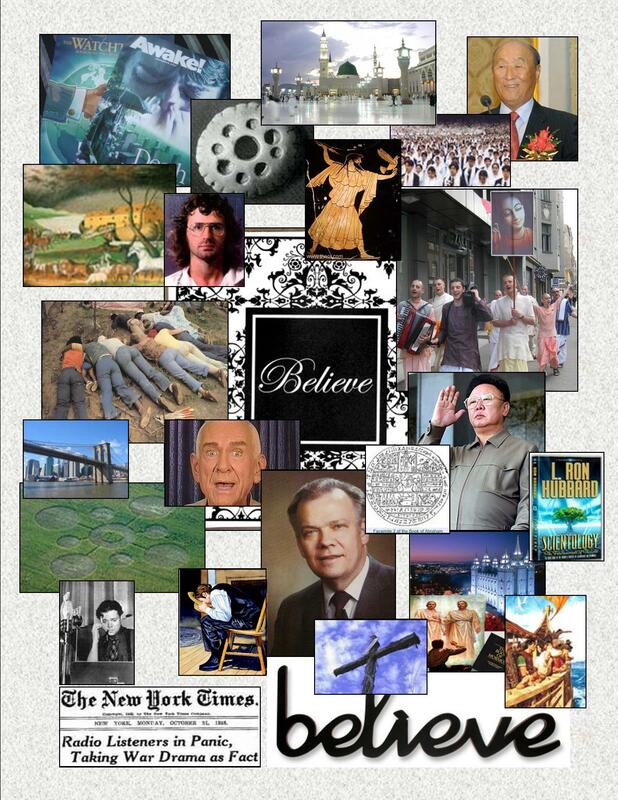 Steve Hassan apostatized from The Unification Church (Moonies) and that was a bit more extreme, but most of the concepts, principals and practices are the same. Q: What’s the difference between a cult and a religion? And that quip brings me to the one monumental difference between Hassan’s experience in a young cult and mine in a slightly older one. Since a cult is so new, most adherents are converts, so when an individual leaves a cult they have a past life and a past personality to return to. When you are born into a restrictive religion your personality is formed by the religion itself. When you leave there’s nothing to return to. It’s feels like self-discovery at square one. I see many consequences of this…having a hard time picking favorites is one. Feeling disconnected from people is another. Facebook has been a great help with the latter. I’ve reconnected with so many old friends, classmates and colleagues with whom I feel like I missed out on tighter connections because I was arrogant, self-righteous or too worried about choosing the right to choose anything at all. Wondering how to help them get over that…. Things seem to be getting more cultish over at LDS Inc. I was a VERY active member of the LDS church for 40 years, but in all that time I can’t recall ever even knowing when the prophet’s birthday was. Things have changed. The other day I took my daughter to a Daddy-Daughter event at her Mom’s ward and just before the closing prayer, they asked everyone to sing “Happy Birthday” to President Monson. I put up with all the other weird stuff there that I expected and anticipated…. …the insertion of a droning talk… in the middle of what what supposed to be a fun activity. …being commanded by some woman not to touch the refreshments (pie a la mode and water) until they were blessed (they were placing ice cream out in front of people who were supposed to watch it melt. They clearly had no plan of when this prayer would take place). It was kind of funny watching most of the people blatantly ignore the blessing nazi. …the girls getting a modesty lecture. …Someone entirely unqualified behaving as an authority on fatherhood. BUT I didn’t expect to sing happy birthday to someone who wasn’t even there. That was bizarre. I can’t think of any other situation where I’ve been asked to sing “Happy Birthday” to someone not there… Isn’t that “Stepford Wives” -like? I don’t think Catholics know or care when the Pope’s birthday is….and I think therein lies the difference between revering and worshiping something/someone. What is this an example of here? To me it’s an indicator of the subtle thought-controlling messages that my kids are inundated with. Of course it’s all relatively harmless… It ALL is – as individual events and isolated practices. So they sing happy birthday to a leader who’s not there. So what?! But taken all together, they also pray for him daily, sing songs about him weekly, have constant lessons about obeying him. He even “appears” at a Daddy-Daughter fun night – something wholly unrelated and yet, it becomes about him. I remember back when I knew in my heart that the LDS faith was bogus but I was still trying to make nice and keep the family together. We were visiting uncles and cousins of my in-laws in their home while on a road trip. These were people who we saw only once every couple of years. The night we were visiting just happened to be a big televised birthday party for the prophet at that time. Instead of visiting with us, we were expected to watch this on TV with them. The entire evening was about this prophet’s televised birthday bash. I remember impatiently joining the kids in an adjoining playroom and looking back at the adults in front of the TV. I got a little creeped out by what I saw… the glazed looks on everyone’s face staring at the TV set. I knew then that I could never be one of them again. As an additional note, 2 other related events oddly coincided with this televised birthday celebration of the prophet. Not long before this, he and the other church leaders publicized a new church policy eliminating “mission farewells”. These meetings were Sunday church services where a young 19 year old boy volunteering 2 years of his life to the church for no pay was honored by the local congregation. Family members spoke. I was a time when the community collectively wished the volunteer well. The reasoning for the ban was that in the church, positions and callings are all equal and no one else received a big formal send off or celebration for their volunteer church service. I later found it shocking that the prophet would allow such a completely hypocritical celebration of HIS calling in light of this recent policy. It’s ironic when you also learn that General Church Authorities get pretty decent allowances/salaries for their work. In other words, we can’t honor the local volunteer making a crucial dedication of his life at such a tender time. We must only honor the leader. The other event juxtaposed against this birthday bash was the news reports of the birthday bash for North Korea’s dictator, Kim Jong Il. The similarities were eerie. The glazed-over eyes of the spectators, the inability to disagree with the leader…ever, the enormous expense for the celebration when the people were being asked to cut back, the propaganda-like nature of the event.